These really are one of the most useful modules you can have in your rack. With Filters, Modulation, LFOs, Delays, Reverbs, Phasers, Flangers, Loopers, Vocoders, Sampling, Recording and even a couple of synth’s, there is something for everyone and anytime you need it. Now add some CV control and welcome to your next ‘desert island’ module! Specs of the original manufacturer’s product HERE. This particular conversion used the owner’s artwork to add that custom touch. 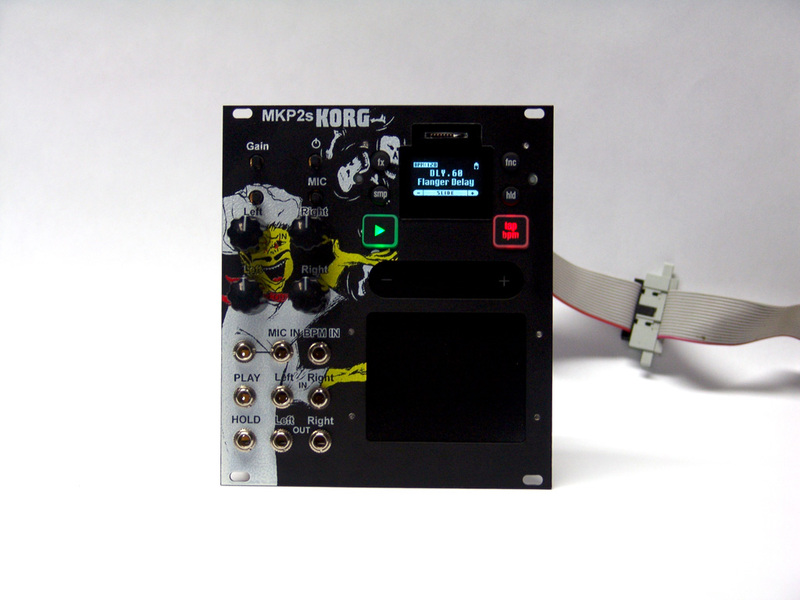 He also wanted ALL of the possible CV control, so his MKP2s is the most voltage controlled conversion I have made so far! 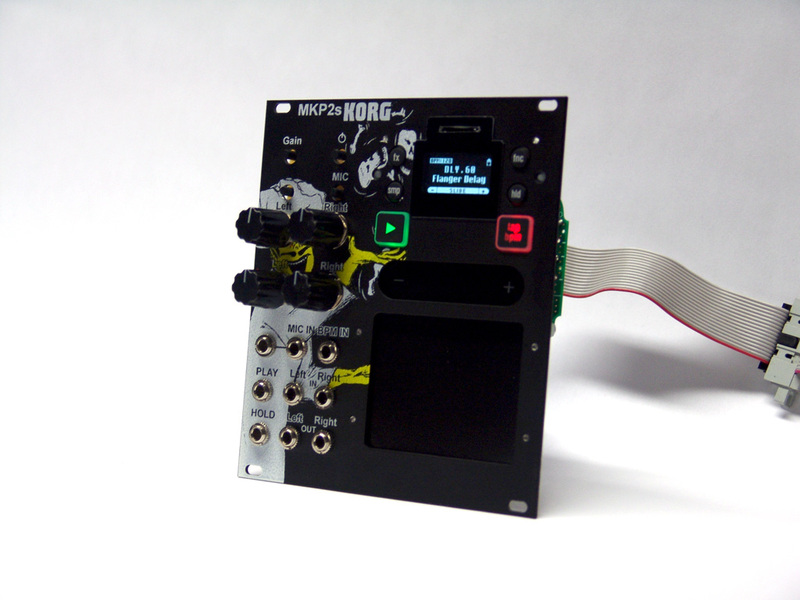 This entry was posted in Uncategorized and tagged custom korg eurorack, custom MKP2s, eurorack mini kaoss pad, korg eurorack by DSC. Bookmark the permalink. Is it better than the KP Mini that you did a while back? Any chance I can get you to work on another one of these?